Axiom Condos on 460 Adelaide Street East. 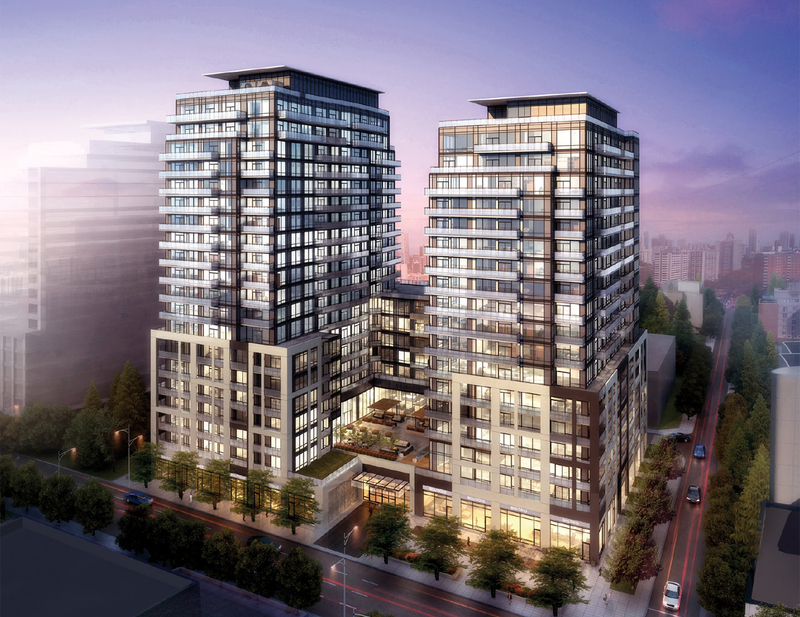 An artist’s rendering of Axiom Condos Phase 1 and 2. 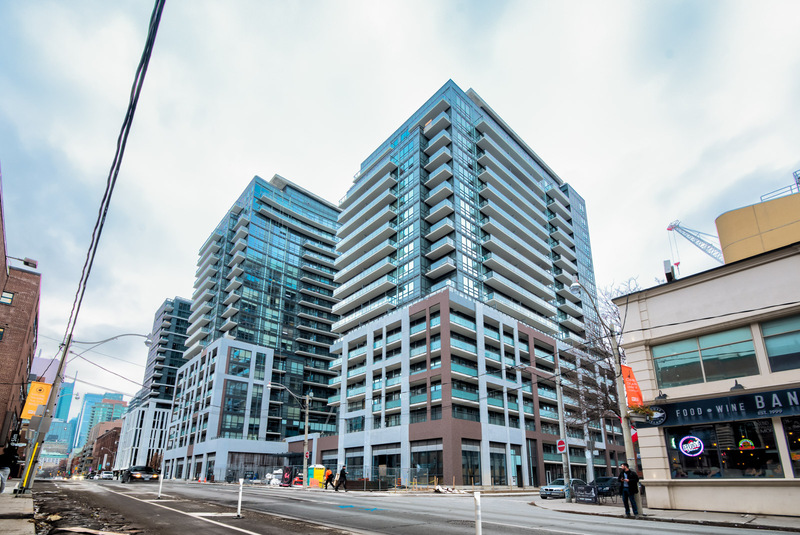 Axiom Condos is part of a 2-tower mixed-use community in Toronto’s bustling Moss Park neighbourhood. Its architecture is bold yet elegant, with a landscaped promenade, geometric body, and a glassy-blue facade accented by dark brown concrete. AXIOM brings together a thoughtful combination of intelligently designed suites, a wide array of sophisticated amenities and convenient retail at street level…. 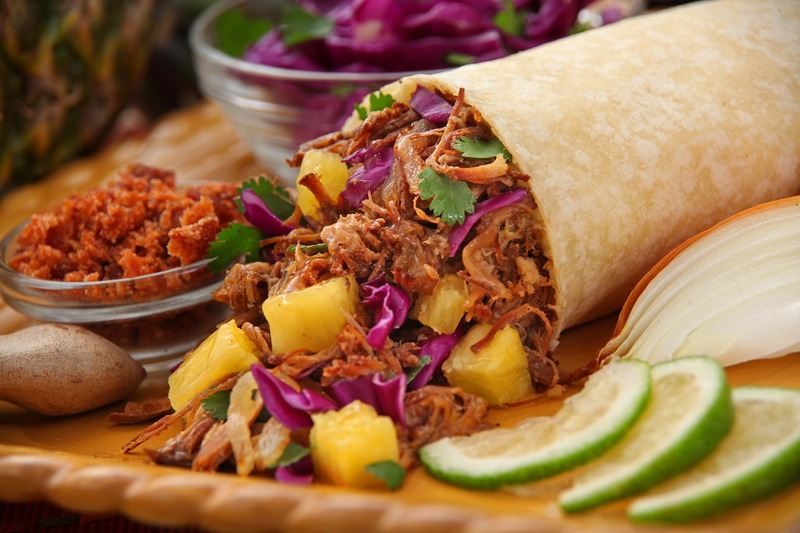 All that, plus it’s within walking distance of St. Lawrence Market—Toronto’s hottest destination for food lovers. 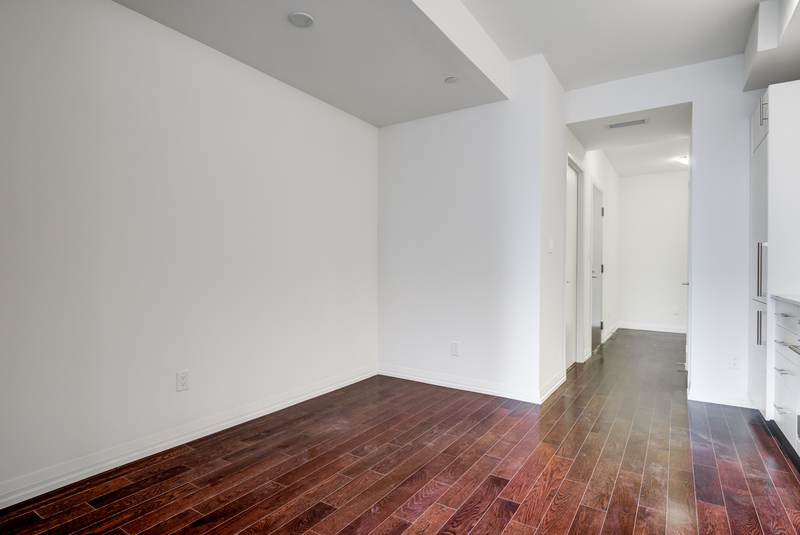 Unit 720 is a brand new, never before lived-in condo. 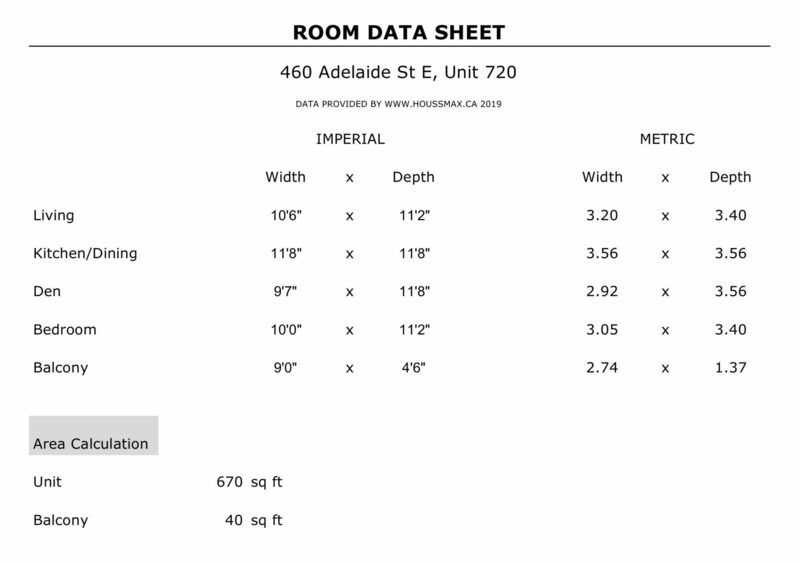 460 Adelaide Unit 720 uses every square inch of space. In fact, its 672 sq. ft. interior includes a bedroom, bathroom, kitchen, living room, dining room, laundry, powder room, walk-in closet, and den. 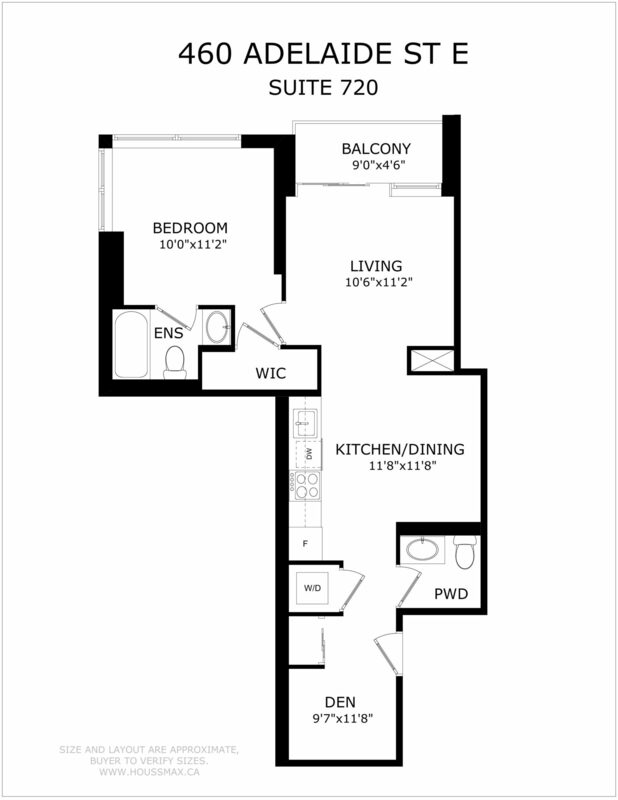 Here we can see the sheer scale of the condo. An open-concept design connects the kitchen, living and dining areas, while a split-layout bedroom offers greater privacy. The dining room conveniently shares the same space as the kitchen. 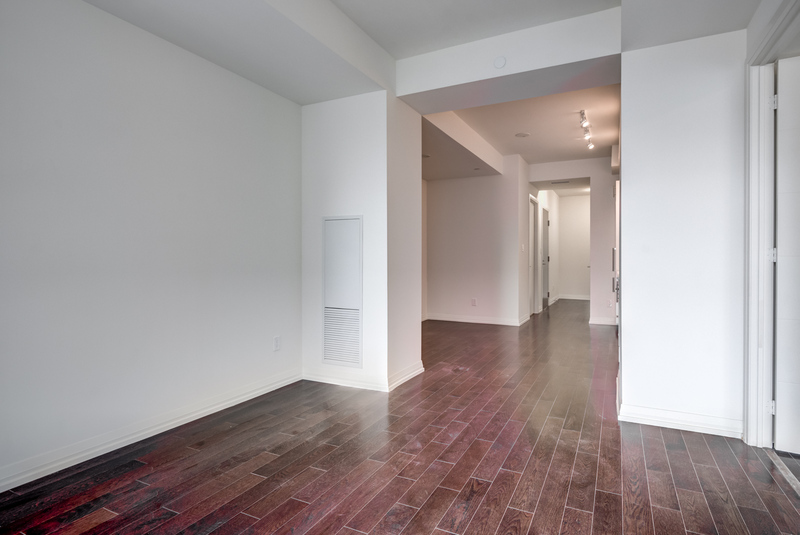 In addition to being so spacious, the condo is also well-lit and beautifully designed. 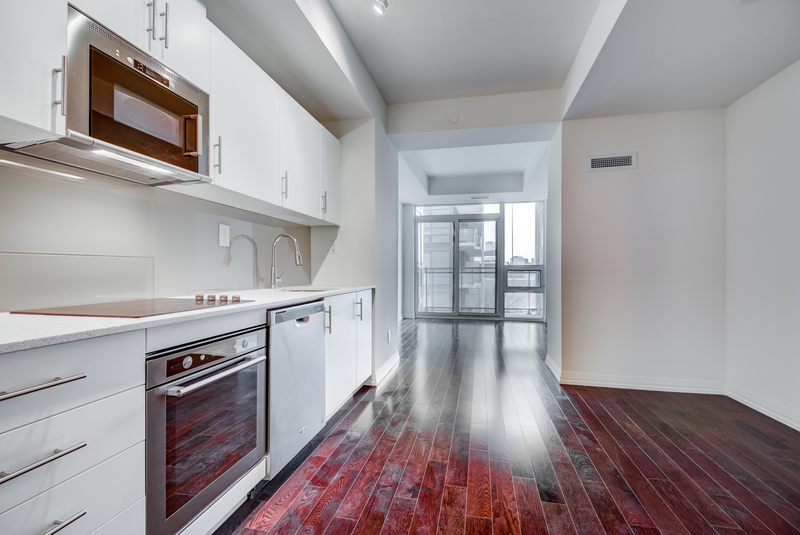 This visual finesse is visible in the smoky-red laminate floors, rich gray walls, and gorgeous contemporary finishes. The living room is serene, bright and cheerful. This is due to the glass doors and panels of the balcony, which even on dark days provide plenty of sunlight. 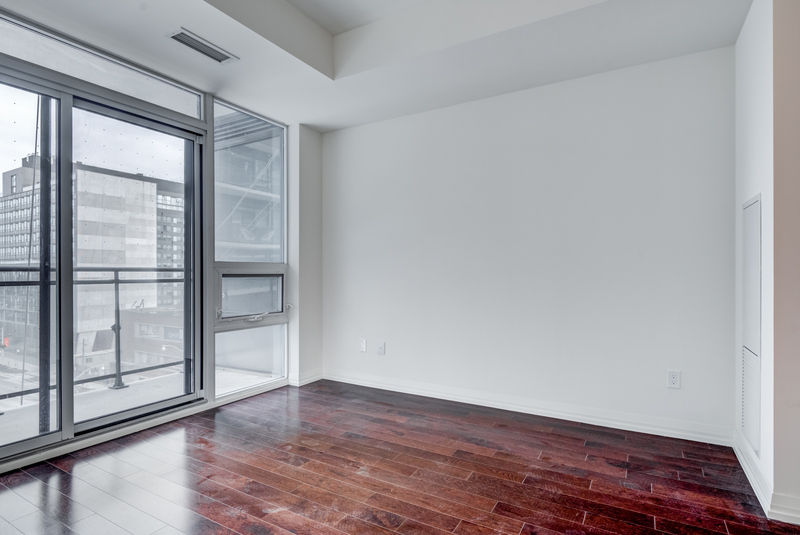 The living room also overlooks the balcony—which overlooks Moss Park. 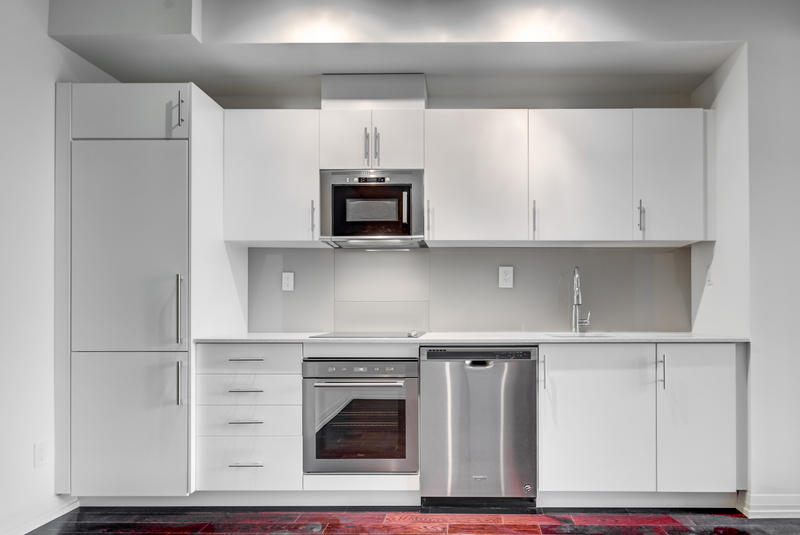 There’s only one word to describe Unit 720’s kitchen: perfect. The kitchen is simply stunning, using complementary colours such as gray, white and silver to create aesthetic harmony. Everything matches, from the cabinets and back-splash to the outlets and faucet. 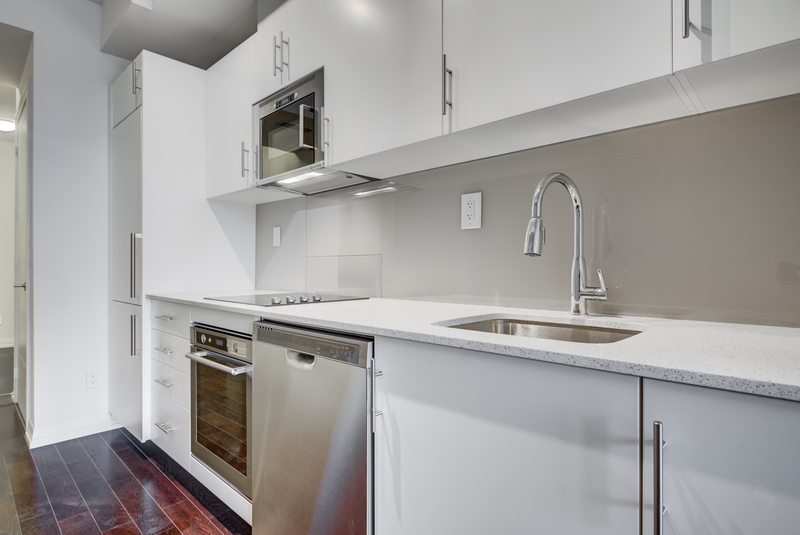 The kitchen also features practical elements such as track-lighting, granite countertops, and Energy Star appliances. Furthermore, by integrating all the appliances and cabinets directly into the walls, the kitchen saves space without breaking flow. The view from your master bedroom. 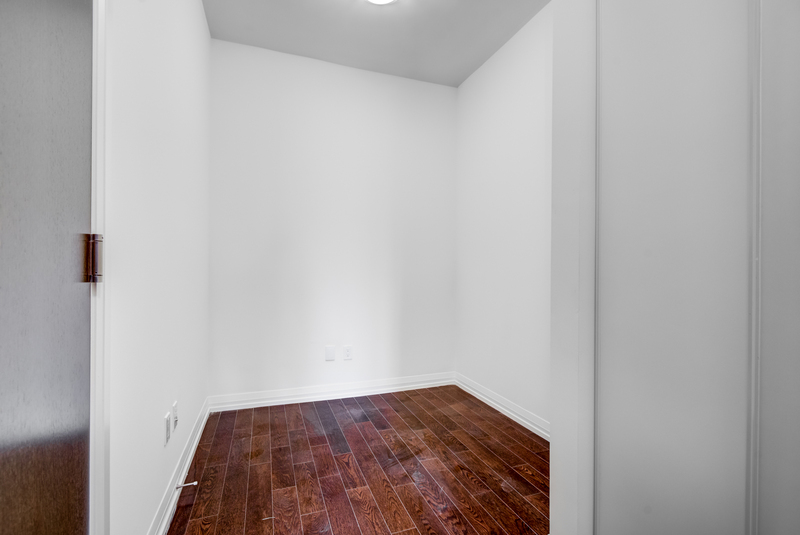 Unit 720’s master bedroom contains that same clever mix of form and function. 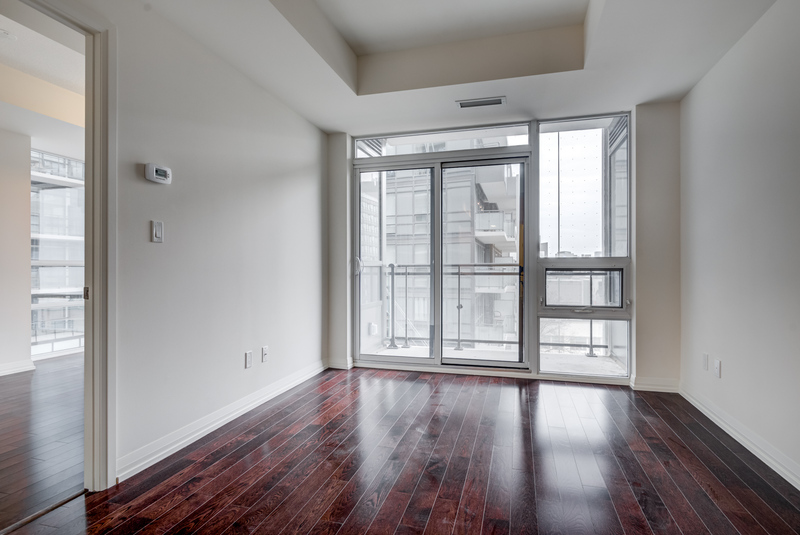 Laminate floors, gray walls, and sensational views are all present. 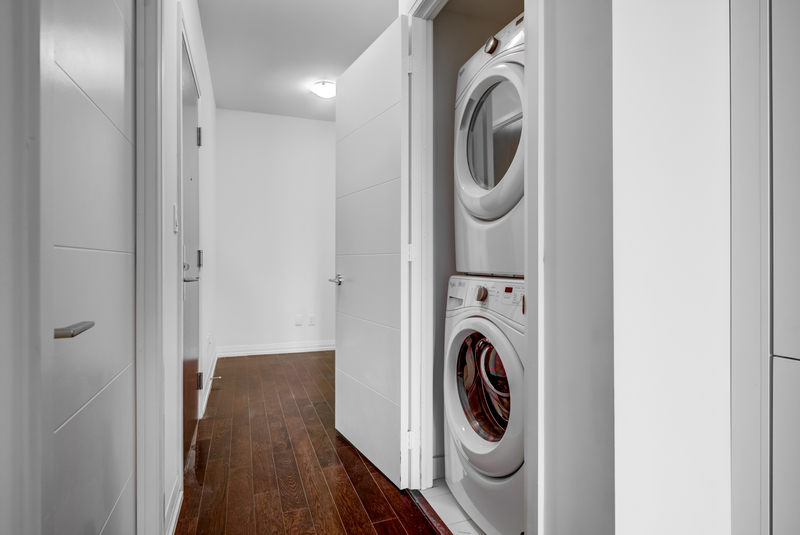 But it also boasts more practical elements, such as 9-foot ceilings, a walk-in closet, and an ensuite bath. And because of its split-design, the bedroom is its own private space. The master bath’s simple gray and white colours match those of the kitchen. 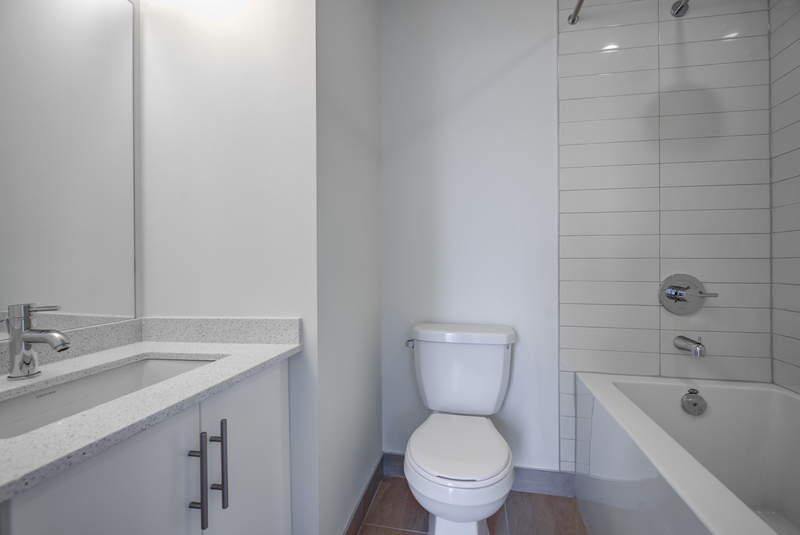 The washroom also features a shower, tub, sink and vanity with a generous storage cabinet. The den is located near the front entrance, just beyond the laundry closet. At 9.7 x 11.8 sq. ft., Unit 720’s den can serve a variety of roles. You can use it as a storage area, office, study, and of course, a second bedroom. The den contains multiple outlets, making it the perfect home office. While not as large as the master bedroom, it can easily fit a bed. The walk-out balcony links to the living room. 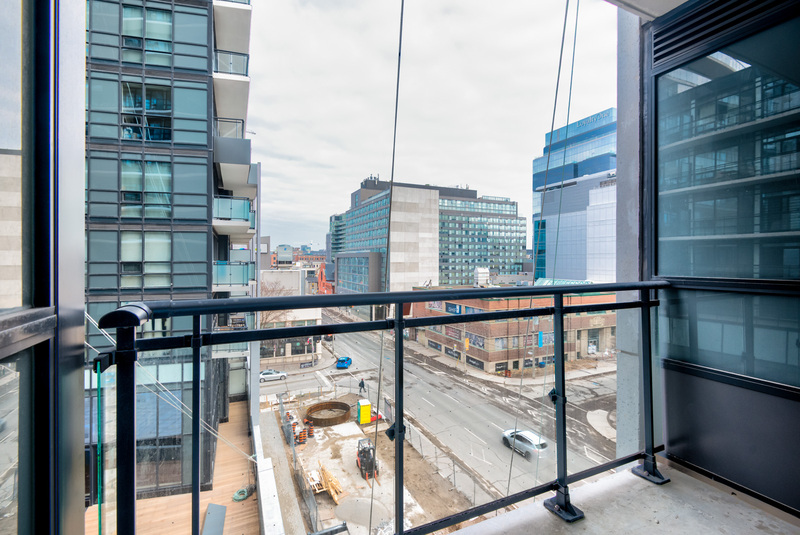 Unit 720’s east-facing balcony offers thrilling views of Moss Park. And because it uses glass-panels rather than steel or concrete, the view is even more expansive. Meeting room, visitor parking, guest suites and so much more! Axiom Condos lies at the intersection of Sherbourne and Adelaide in Toronto’s Moss Park neighborhood. The great news for home buyers? 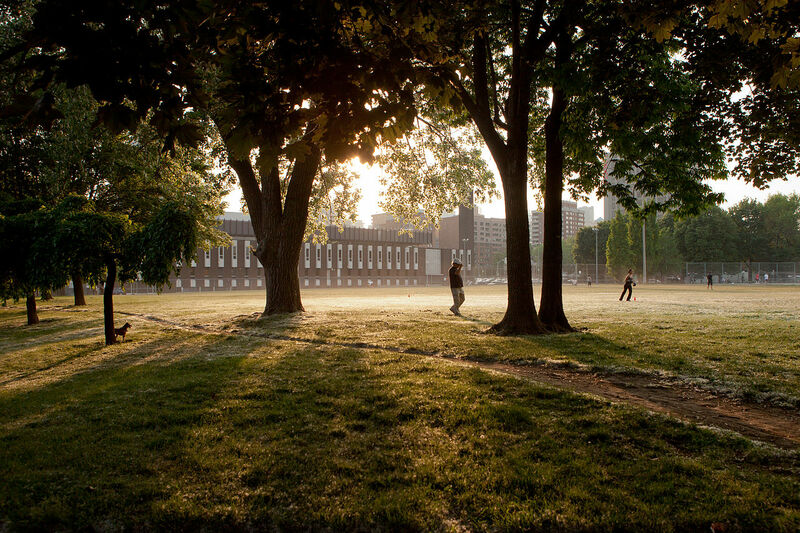 Moss Park is currently experiencing a massive revitalization. 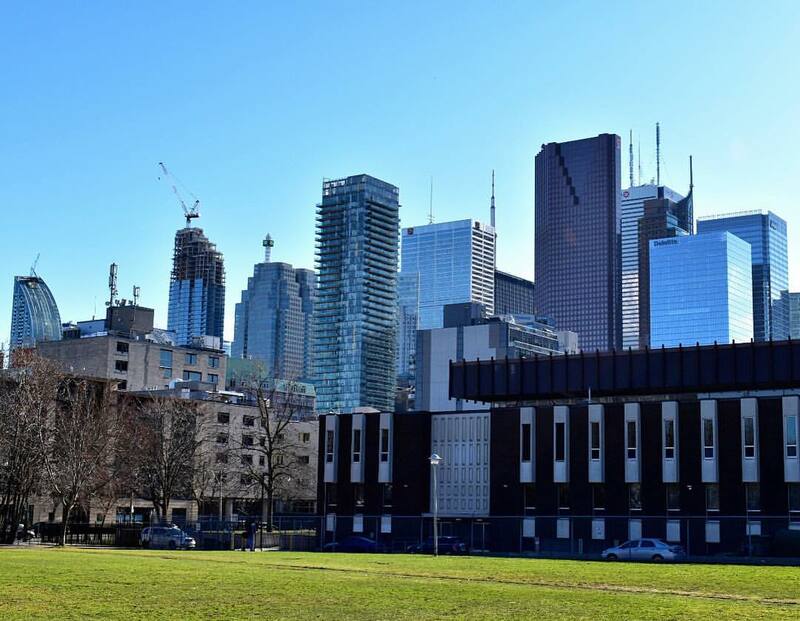 Like much of the downtown core, the area surrounding Moss Park is booming as people flood into the neighbourhood’s incoming condos and rental buildings. But this revitalization isn’t just limited to housing. 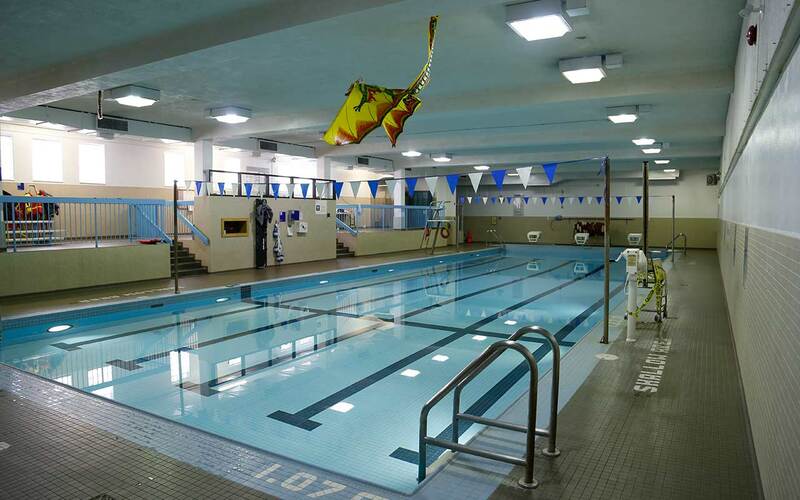 It also includes a new community centre with skating rinks, a splash-pad, tennis and basketball courts, and a rooftop park. an unlikely draw for buyers—especially new condo buyers—with prices rising a healthy six per cent year over year and about a third of residents owning their own homes. So Moss Park represents a wonderful opportunity for new home buyers, especially since their properties will only rise in value. [Residents] will be steps from restaurants, the St. Lawrence Market, the Sony Centre for the Performing Arts and artisanal shops and galleries in the Distillery District. In short: Moss Park has everything you need nearby, from shops and restaurants to arts and entertainment. 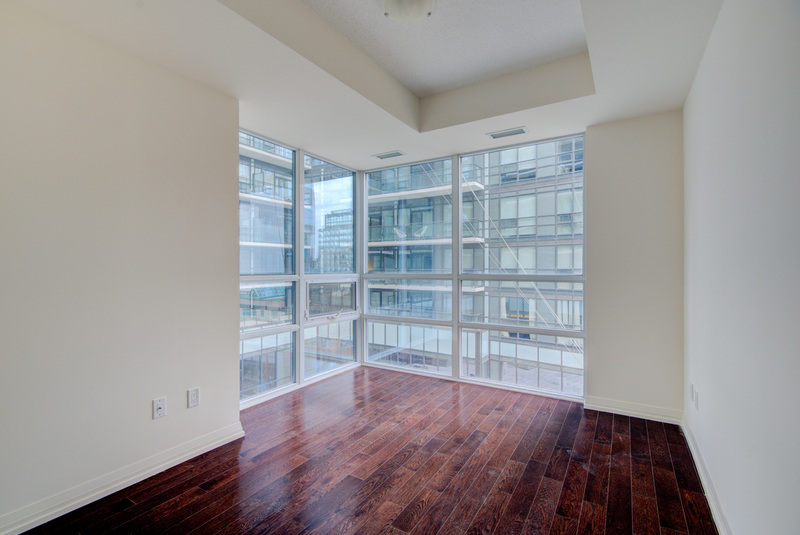 460 Adelaide Unit 720 is big on space and small on price. 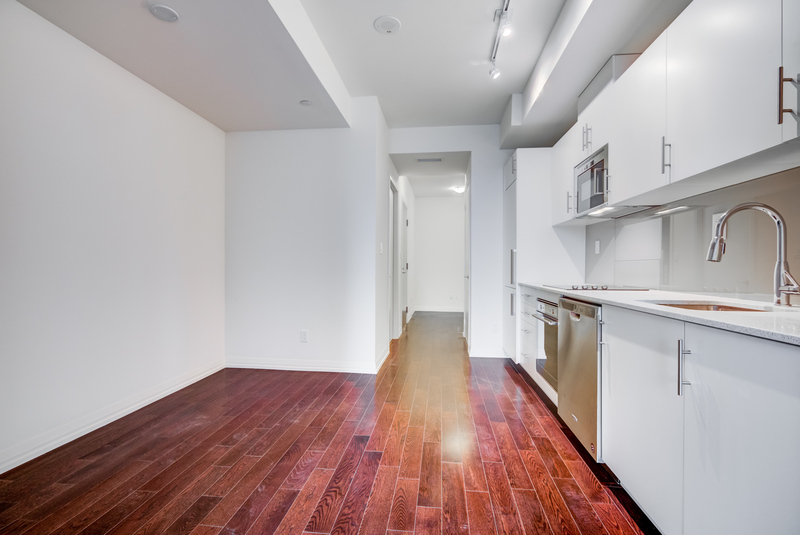 A brand-new 1 bedroom, 1.5 bath + den condo for less than $600K? That’s almost unheard of in Toronto. 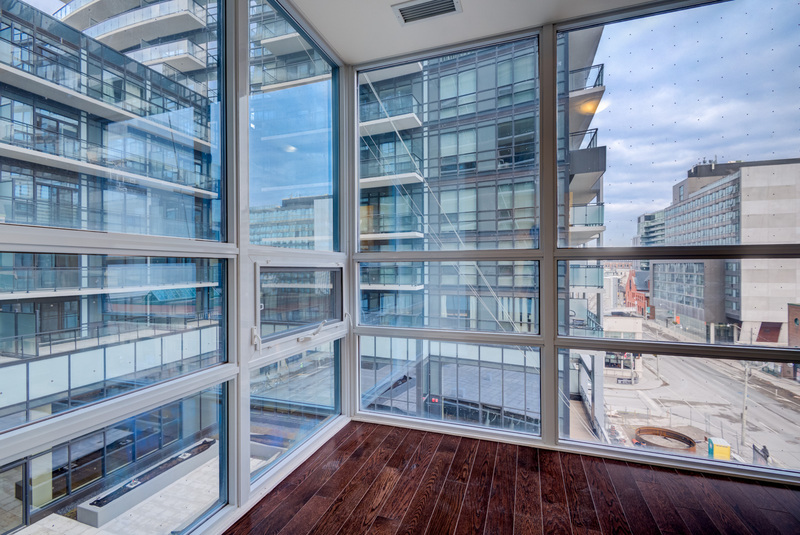 Throw in luxury amenities, Energy Star Appliances, and an exciting Moss Park location—and you’ve got the condo of your dreams. Click here for a Virtual Tour or contact me below for more details.